"Fair use" is one of the most important exceptions to copyright law -- and one of the most widely misunderstood. This is not surprising, since it is also one of the murkiest areas of copyright law. You can be sued for violation of the fair use exception even if your use of copyrighted material is non-commercial. The "fair use" exception to copyright protection allows you to use a limited portion of a work copyrighted by someone else, as long as your use is for certain permitted purposes such as education, commentary, criticism, teaching, news reporting, scholarship, research or parody. The problem with the fair use exception is that the law offers no clear guidance as to how much use of a copyrighted work is permitted; the amount of use depends on a number of factors, depending on the facts of each case. You may freely make backup copies of a copyrighted work for personal, non-commercial purposes -- such as burning a CD for your personal files. Four factors are relevant in determining whether a given use of a copyrighted work is fair: the nature of the work, for example, the use of a portion of a compiled list of information is more likely to be fair than use of a portion of a fiction novel; the size of the portion you use compared to the total size of the work; whether your use is for commercial purposes; and the effect of your use on the market value of the work. A copyright holder possesses the inherent right to profit from the copyrighted work. If you are not the copyright holder and you profit from using a portion of a copyrighted work, this impairs your ability to maintain a fair use defense if you profited or intended to profit from your use of the work. This does not necessarily mean that your use necessarily infringed the copyright -- it simply means that the other legal factors governing fair use must outweigh the significance of the fact that you profited from your use of the work. If, for example, you created a for-profit film in which a character sings a single line of a copyrighted work, it is possible that your use, although commercial, might be judged non-infringing. If your use of a copyrighted work is found to be an infringement, a variety of legal remedies are available to the copyright holder. If the copyright was registered with the U.S. Copyright Office before you infringed it, or within three months of its publication, you may be fined between $750 and $150,000 per act of infringement at the discretion of the court. The fact that you profited from the work might lead a court to assess a higher damage award against you. If the copyright was not registered in time, the court may still order you to turn over all of your profits to the copyright holder. If your use was for non-profit purposes and the work was not registered, the copyright holder must prove that he suffered actual damages from your use to win a judgment. It is often quite difficult to prove damages in copyright infringement cases when the infringing party did not profit from his use of the copyrighted material. Copyright law protects all aspects of an artistic work, as long as the work is original and has been reduced to a tangible medium. Song lyrics, for example, are protected as soon as they are recorded, whether in audio or written form. Although you don’t need to register your song lyrics with the U.S. Copyright Office to enjoy copyright protection, registration makes it easier to prove that you wrote the lyrics before the infringer did and allows you to collect damages without proving economic harm. How Are Copyright Laws Enforced? A copyright for an original work of authorship gives the copyright owner a set of property rights. During the term of the copyright, the copyright owner has the exclusive right to reproduce and distribute copies of the work, prepare derivative works, and perform and display the work. A copyright owner also has the right to authorize others to use her work. Copyright laws prohibiting the unauthorized use of copyrighted works are enforced through civil lawsuits and criminal prosecutions. 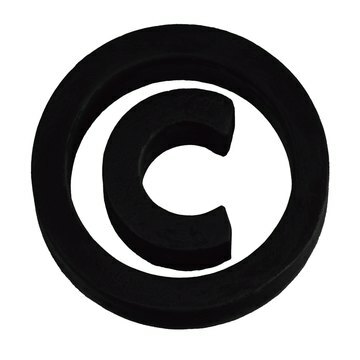 A copyright protects original works in tangible form, such as manuscripts, music recordings or computer code, from being used without the owner's permission. Generally, if you want to use all or just a part of a copyrighted work, you must obtain permission from the copyright holder. Failure to do so is copyright infringement, which carries civil and criminal penalties. There is, however, a limited exception known as fair use. How Long Can a Sample Be Before You Need Copyright Permission?